A few months ago I was asked if would be interested in telling my '30+ Days in the Olympic National Park' story in the auditorium in the Visitors Center. 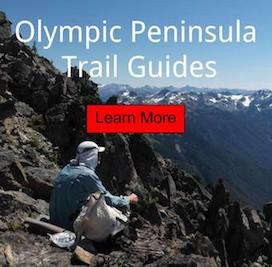 This presentation would be in part of an Friends of the Olympic National Park Winter Series. Having a life long obsession with the Olympics excitedly agreed. I remember being a young boy; spending my afternoons studying ONP trail maps. Look forward to sharing what I created in my imagination and turned into a reality. Make sure you mark March 21st 2013 on your calendar. 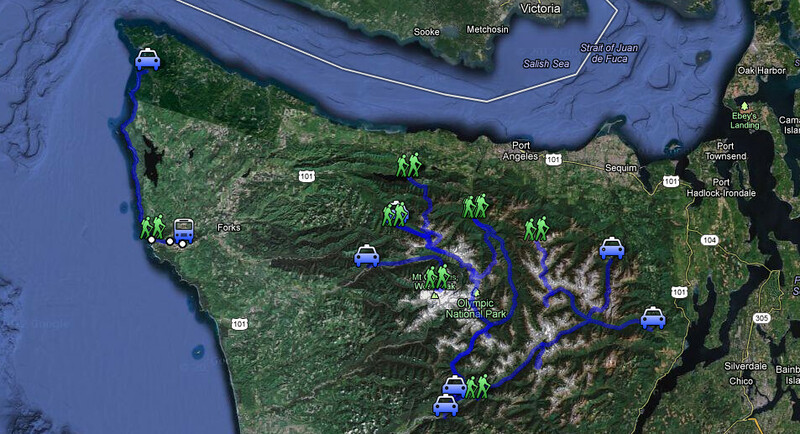 My goal while planning this adventure was to backpack the Olympics like a long trail; such as the PCT or the AT. Carrying only the minimal things need to get myself to the next supply point. Needing to separate myself for the summer from the modern world. Spending time in the wild would clear my mind and act as therapy for my soul. Wanting to experience as much wildlife on my journey as possible. Talking and unnecessary noise was kept to a minimum. One little camera would be used to document my journey with photographs and small notepad for journalling. Ascending Mount Olympus in July. North Olympic Coast in June. Near Sentinel Peak looking into Mount Anderson. Eleven Bull Basin Camp looking into Mt. Olympus from the Bailey Range. Ascending Mt. Ferry while Returning to the Baileys. Choosing to wear Minimal Footwear enhances my wilderness experience. I am a firm believer in the 'Less is More' lifestyle. One should rely on outdoor skills learned while traveling through life; not on big gear list. For this reason everything that I chose to carry in my pack has two uses. I enjoy sleeping under an ultralight tarp to keep my connection to the outdoors strong though the night . Using no bug protection provides my body with fresh air; which helps me fall into a deep sleep. Keeping my things neatly arranged in a compact backpack that fits closely to my core. I found by doing this allows me to keep proper posture and balance which is necessary for an efficient stride. You are invited to join us on March 21st 2013 at 7pm. I suggest getting there early to save a seat. Space is limited to first come, first serve. There is no charge for admission. The presentation is schedule for 1 hour. Don't be shy to introduce yourself before or after this event. I love meeting new people and would enjoy hearing about your trail experiences.